Although promising future athletes and musicians tend to be identified and actively supported from an early age in the United States, the same intense support is not always provided to children who display academic promise, thus hurting the ability of our most talented individuals to compete in the global economy. 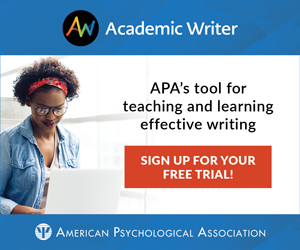 A major report by Rena F. Subotnik, American Psychological Association; Paula Olszewski-Kubilius, Northwestern University; and APS Fellow Frank C. Worrell, University of California, Berkeley in Psychological Science in the Public Interest explores the reasons for this disconnect and brings psychological science to bear on the question of how better to nurture young talent across all fields of endeavor. Coverage of this article appears in the Nov./Dec. 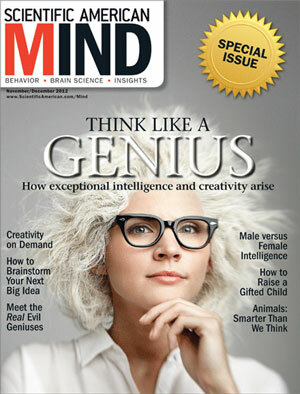 2012 issue of Scientific American Mind: To Nurture Genius, Improve Gifted Education. Click on this image to read the story. Academic giftedness is often excluded from major conversations on educational policy as a result of misconceptions about what academic giftedness is and how it arises. People may assume that high-ability students will make it on their own, but research shows that talented children in all domains — academic as well as athletic or musical — need to have opportunities that expose them to advanced knowledge, skills, and values in their field of interest. Research on optimal performance also reveals that different areas of talent have different developmental trajectories and that some fields are much better than others at identifying where students are in these developmental trajectories and providing them with a roadmap for achieving success. The science of optimal performance, applied to traditional academic disciplines as well as sports, music, and other domains, can help educators to meet the specific needs of high-ability students in every field. The overall goal of gifted education, according to the authors, should be to increase the number of individuals who make path-breaking, field-altering discoveries and creative contributions by their products, innovations, and performances. Their report demonstrates the need for a new, research-based framework for identifying and supporting giftedness in all domains in the United States. Special thanks to the James S. McDonnell Foundation for its generous support of the development and distribution of this PSPI report. This is a truly excellent and very relevant article! Thank you.